Can a Seller Keep a Buyer's House Deposit? Even though a home seller might have a legitimate reason and right to demand a buyer's earnest money deposit in the event a buyer defaults, exercising that right might not be in the seller's best interest. You may wonder why not since it's the seller who is harmed, which is why I would like to explain the rationale behind why a seller might want to think twice before pursuing a buyer for the deposit. Let's start with the emotional aspects of the transaction. Typically speaking, in any given real estate transaction, is it not the seller who feels wronged during the purchase period. Generally, it is the buyer. The seller is simply hoping the transaction will conclude upon receipt of a huge sum of money deposited into the seller's bank account. The buyer, on the other hand, is buying a monstrosity and is certain there are hidden defects the seller is withholding—that in all likelihood the buyer is making the biggest mistake of a lifetime, on top of getting royally ripped off in the process. It is generally the buyer who feels there is more at stake, which tends to add an intense emotional element to the transaction that the seller does not possess, up to the point in time at which the buyer, for whatever reason, cannot close the sale. The underlying insecurities harbored by the buyer, coupled with the buyer's own anger over not closing—which is often directed at other parties, including the seller, and left to smolder and churn on its own—can now develop into an explosive situation, heightened when the seller joins the fireworks by claiming the buyer now owes the seller the earnest money deposit. What else can the seller take? The seller can't really force the buyer to close escrow. Many purchase contracts, especially those used in states such as California, contain a liquidated damages clause, which states the seller is only entitled to the earnest money deposit up to a certain percentage of the sales price. Any excess monies on deposit are generally returned to the buyer. How Can a Buyer Obtain a Refund of the Earnest Money Deposit? Buyers who are canceling the transaction generally have some sort of contingency period in the contract that gives the buyer the legal right to cancel the contract. It could be a loan contingency, an appraisal contingency or an inspection contingency—maybe it's contingent on the buyer selling another home that the buyer can't seem to sell. Many contracts contain contingencies that allow the buyer to cancel under certain circumstances. Let's say the buyer hires a professional to conduct a home inspection. During the home inspection period, the buyer discovers the furnace is inoperable and the home inspector says the furnace is beyond its useful life. The buyer might ask the seller through a formal request for repair to replace the furnace. The seller could refuse and tell the buyer to cancel. Under this situation, the buyer might be entitled to receive the earnest money back upon cancellation. It doesn't mean the seller will want to release the deposit. If the deposit is held by a third party, such as a title company or escrow company, all parties generally need to agree on its disposition or at least agree to cancel while arguing over the deposit. If both parties are unreasonable, it's possible that the transaction could be placed on hold, depending on state laws. In California, a seller cannot unreasonably withhold a refundable earnest money deposit, or the seller could face a penalty fine. Taking the disposition of the earnest money deposit once step further, let's say the buyer has exhausted all contingencies and released all of the contingencies. A few days before closing, perhaps the buyer gets cold feet and decides to cancel. The seller, who might be outraged by this turn of events, would probably have a right to expect to receive the buyer's earnest money deposit since the buyer willfully and deliberately failed to close escrow. What if the buyer refuses to give the earnest money deposit to the seller? What if the buyer refuses to sign any type of cancellation? 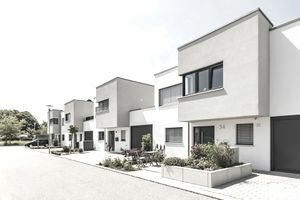 The seller might be prohibited from selling the property to another buyer while the seller is still under contract with the existing buyer. The seller generally cannot have two contracts at one time, unless one contract is contingent on the cancellation of the other. Remaining in contact with a stubborn buyer could tie the seller's hands. Sure, the seller could probably file a Small Claim's Court case and fight the buyer. But even in light of this, even with all the facts seemingly on the seller's side, a judge could still award the money to the buyer. Think Judge Judy. The law is not always black-and-white. Now, how much time and money have been lost trying to obtain the earnest money deposit? If the seller doesn't care how long it takes to sell the home eventually and is willing to invest time and money to fight for the deposit, then it might be worth it to pursue. But this is why a seller should always get legal advice and not just decide to lunge forward aiming a knife at the buyer's throat. There is an expression about cutting off your nose to spite your face, and it can apply in this situation. A seller can be right as rain and, unfortunately, still lose.